I read this article and found it very interesting, thought it might be something for you. 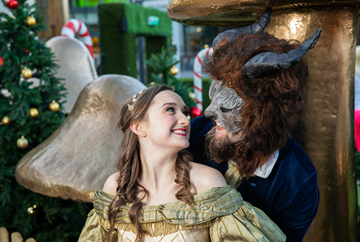 The article is called Beauty and The Beast At Dundrum’s DLR Mill Theatre and is located at https://www.totallydublin.ie/arts-culture/beauty-and-the-beast-at-dundrums-dlr-mill-theatre/. With Ireland’s top box office movie of 2017 Beauty and the Beast seeing massive success, DLR Mill Theatre introduces its panto production of Beauty and The Beast by Mill Productions for Christmas 2018. This is a tale as old as time, featuring a host of well-loved characters and lovable crockery, Beauty and the Beast tells the story of Belle, a beautiful young French village girl who melted the gruff and growling heart of the dreaded Beast, saving the castle from an age old curse. This traditional story of friendship and love, mixes magic and adventure with spectacular song, dance routines and magical special effects to entertain all the family! On a serious note, The Mill’s Beauty and the Beast delivers an underlying life lesson to never judge a person by their looks. Written and directed by Geoff O’Keeffe, this is a story of unrequited love featuring Evelyn Shaw as Belle, Shane Quigley as the Beast, Matthew O’Brien as the charming self-loving Gaston with Garry Mountaine as the wonderful Granny Potts. Tickets: priced €55 for a family and single admission from €14. Families can also enjoy the Dundrum on Ice, as well as a visit to see Mr Claus himself.